A delimited file must be created and placed somewhere accessible by the sign auto-login account (dsw-autologin-<unit>, where <unit> is the specified unit prefix). This can be any type of delimited file, including Excel, tab-delimited or CSV. It can also be a published Google spreadsheet. If the sign is to have dynamic images, a folder repository must be created to hold these images. This folder must be accessible to the sign auto-login account (dsw-autologin-<unit>, where <unit> is the specified unit prefix). The same information from the simulation above is explained in a step-by-step format. For each item you wish to display, populate the spreadsheet with information. 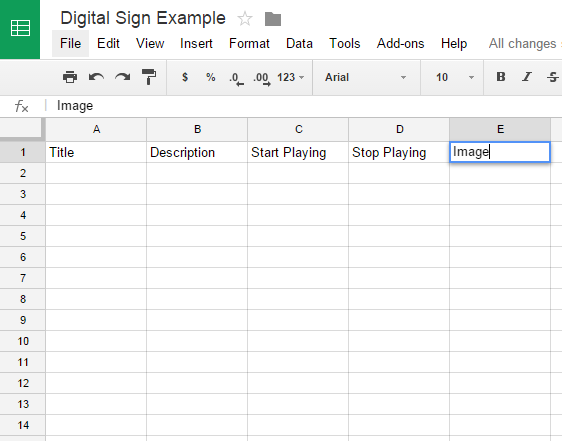 If you choose to have an image on your sign, be certain the image name in the spreadsheet matches the file name exactly. Copy the key from your Google Sheet and save it for later use. Note The key is the portion of the URL after "/d/". 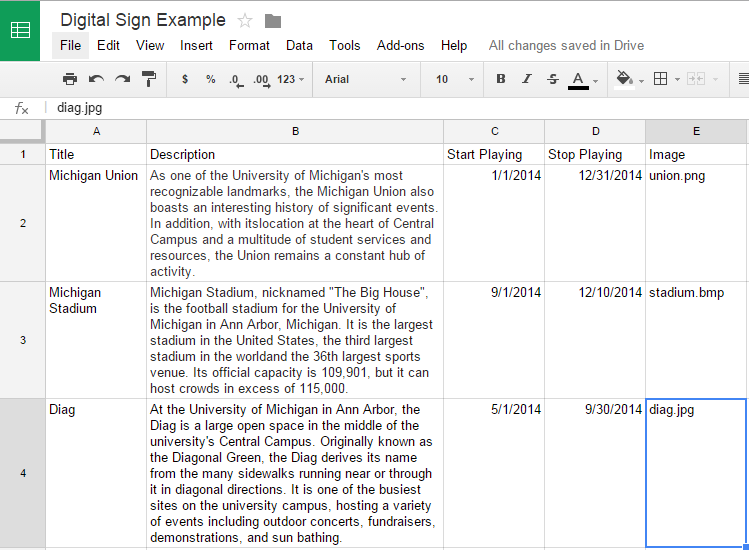 Note Click File > Publish to publish the Google Sheet. Log in to Content Manager. Create a template with the same resolution as your digital sign (1920x1200 is typical). Resize the region to match the size of the template. Click the dynamic URL button. Note You will need to overwrite the two <key> portions of the Path with the key from your Google Sheet URL. Overwrite <sheet number> with 0. 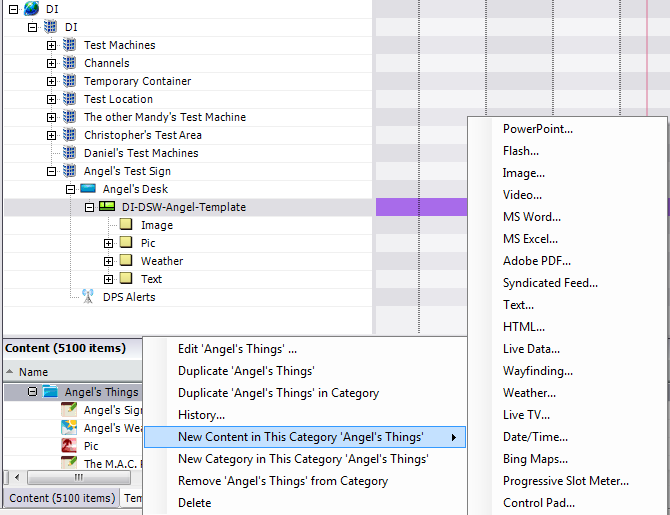 Select Separated text... from the Data format drop-down list. 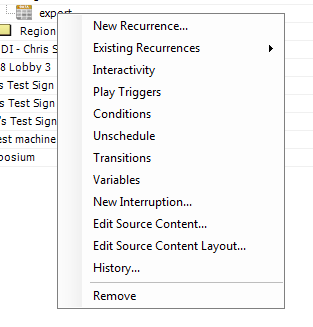 Move the new content type to the region on your template. 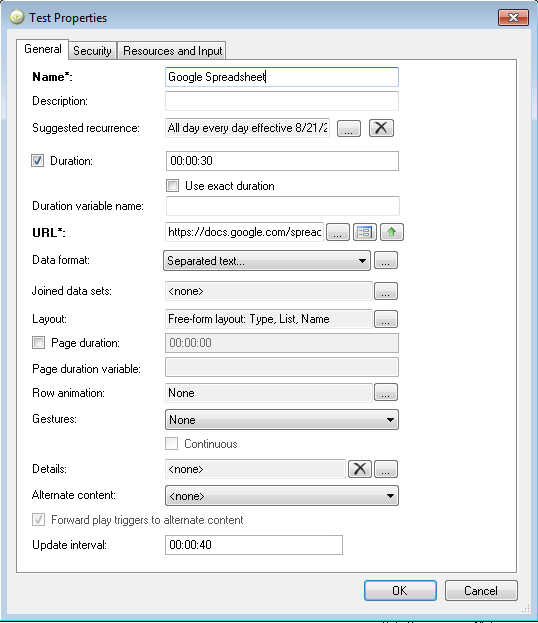 Right-click the content object and select Edit Source Content Layout. 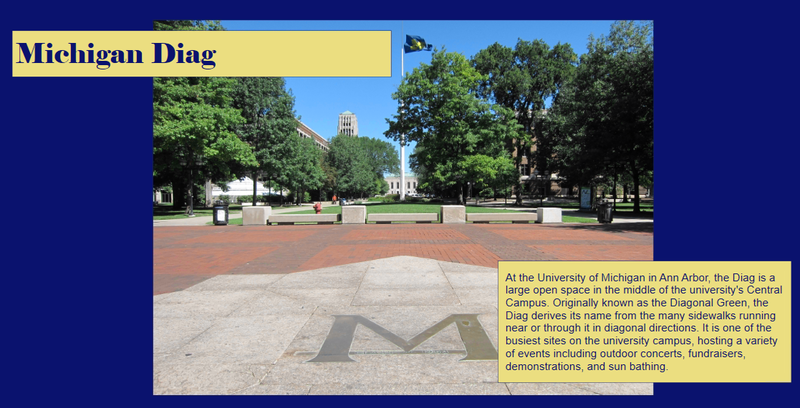 In the layout, define layout dimensions to match the region. No title or footer will be needed. Make the row height and width match the region dimensions. Pull in the various fields from the data fields above to the layout below. 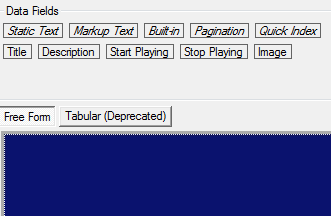 Drag down a markup text object to the layout. 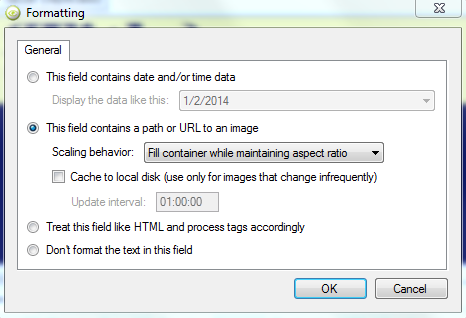 Delete the words markup text in the markup text field. Press Enter to confirm the text. Right click on the image region and choose formatting. Pull the start date and end date fields to the filter tab on the right. 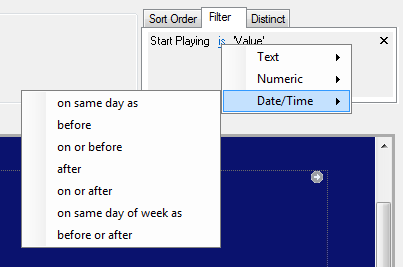 Choose Date/Time from the drop-down list and select the appropriate options.